Hartford police are searching for the driver who struck and killed a pedestrian on Maple Avenue early Sunday morning. Hartford police are searching for a driver who fatally struck a pedestrian early Sunday morning then fled the scene. 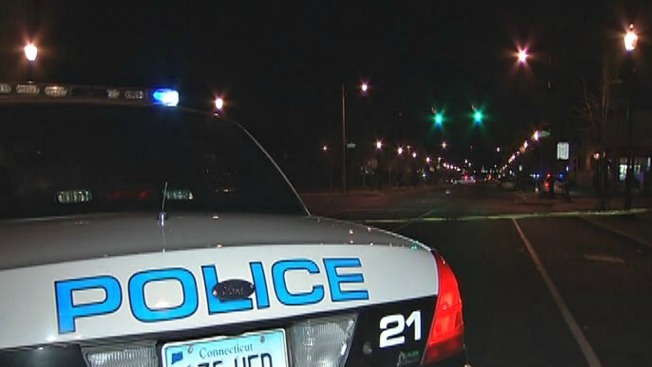 Roberto Manuel Cruz, 34, of Otis Street in Hartford was hit by a car while walking in the area of 700 Maple Avenue in Hartford around 2:30 a.m. Nov. 24, police said. Cruz was taken to Hartford Hospital, where he died of his injuries. Police are looking for a silver or gray, 2003 to 2006 Infinity G35 with a possible license plate of Connecticut 582-XYM. The car's right front end is likely to be damaged, police said. It was last seen traveling southbound on Maple Avenue. The area of 700 Maple Avenue was closed for hours while the accident reconstruction team investigated and police worked to clear hte scene. Anyone with information is asked to call Hartford Police Det. Candice Hendrix at 860-757-4226. Anonymous tips can be reported to crime stoppers at 860-722-TIPS.